Disputes in investment activities is understood as the disagreements, conflicts between the parties in relation to investment. 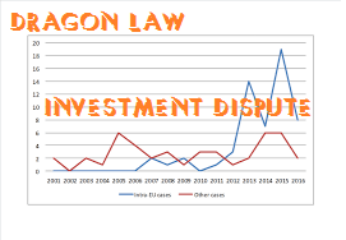 Law firm in Vietnam, Dragon Law, with many years in dispute resolution, would like to support Clients in investment activities. Disputes related to investment activities in Vietnam are resolved through negotiation, conciliation, arbitration or court in accordance with laws. The law prescribes the form of a specific dispute resolution for all kinds of disputes. 1. Disputes between domestic investors together or with State agencies relating to investment activities on the territory of Vietnam to be resolved through arbitration or court of Vietnam. 2. Disputes which one party is a foreign investor or a enterprise with foreign investment or disputes among foreign investors will be resolved through one of the following agencies: Vietnamese courts; Vietnamese arbitration; foreign arbitration; international arbitration; arbitration requested by the disputing parties. 3. Disputes between foreign investors and Vietnamese State agencies related to investment activities on the territory of Vietnam shall be resolved through arbitration or court of Vietnam, unless other agreement in the contract was signed between representatives of competent government agencies with the foreign investors or in the international treaties which Vietnam is a member. When facing with investment disputes, is actually not easy to handle, best lawyers in Hanoi advise to Clients should get consultation from prestigious legal firm to consider about the best solution in investment dispute in Vietnam.